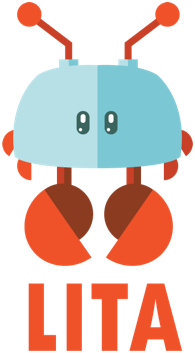 Lita is a chat bot written in Ruby. This site contains documentation on using Lita and developing plugins for it. Choose one of the guides below to begin. If you're new to Lita and want to learn how to use it, this is the place to start. Topics include a feature overview, installation, configuration, adding plugins, run time operation, and deployment. If you're comfortable using Lita and you're ready to start developing your own plugins, refer to this guide. Topics include adapters, handlers, extensions, localization, testing, and publishing. This guide provides a high-level overview of Lita's Ruby API. It will help you get a sense of the features available and how to use them. Whether you are deploying Lita or developing plugins, use the API documentation as a reference for all of Lita's types and methods.